It's time we take a step back and celebrate a step in the right direction for the conservative movement, we celebrate a victory for Americans! 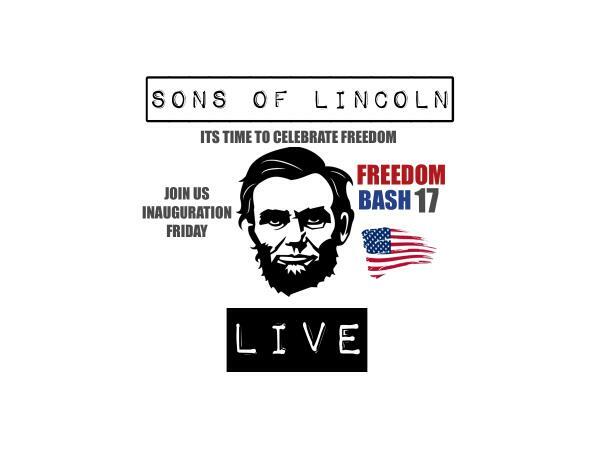 Sons of Lincoln Live and the Petite Patriot will broadcast live, 7pm to 8:30pm eastern on Friday, January 20, 2017 from Moose Lodge in West Pittston, Pennsylvania and everyone is welcome to attend. Click here to purchase tickets (tickets are only $12 and include admission, food and refreshments, cash bar for Alcohol). Nashville recording artist Iron Cowboy performs from 9-midnight! If you can't make it in person be sure to tune in live! During the show we will discuss the Sons of Lincoln. Who we are? What we do and why we do it? We'll talk about the inauguration and election. Plus more! So make sure you listen in or attend Freedom Bash 17!! !